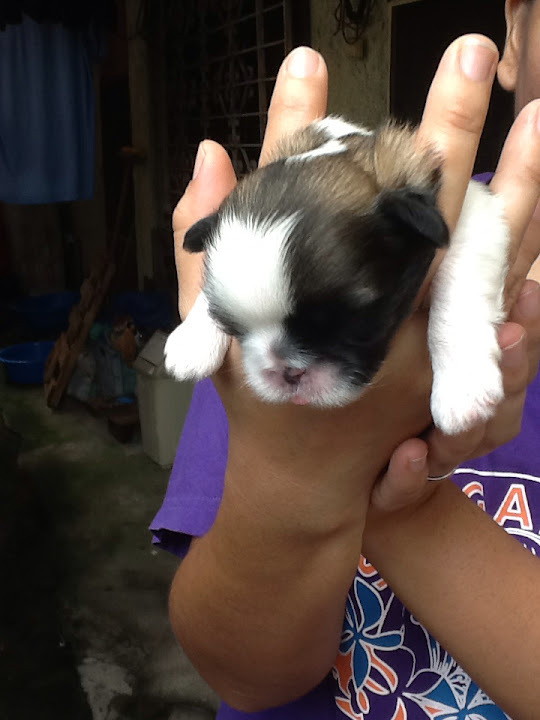 As fas as I'd like to put into details everyday the progress of the 4 shih tzu puppies I have. It seems impossible. Now that I've found an application from app store on how to use iPad for blogging. It seems far easy now to update my blog from time to time. Ok now at the left is my 2days old puppy. They were born last August 29,2012. The dam was at 1year and 4months at that time. The picture below was take after two weeks. The eyes are a little open and the pink nose are beginning to become black. The hair are quickly growing. It seems they all got they features from adsey. The dam was able to deliver 2 male and 2 Female. I already close the deal on the two male. And it seems from what I remember the kids wants all the girls to be left. 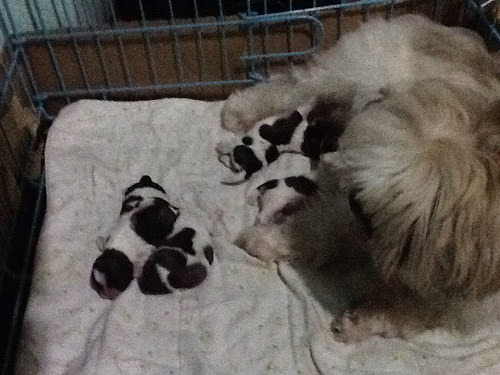 We are now beginning to build a shih dynasty. Well not a proble after all since everybody in the house loves Dog.